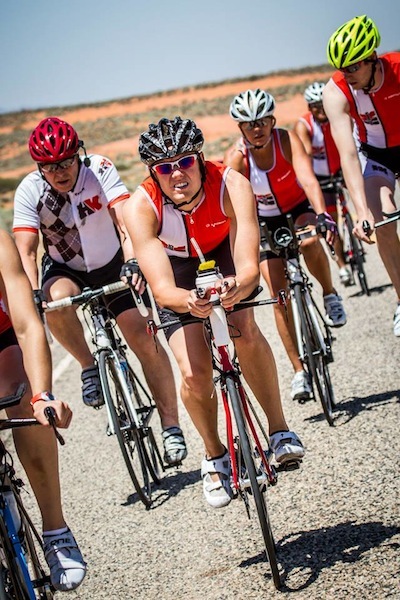 ST. GEORGE – Twenty-five hundred people signed up to compete in Ironman 70.3 on Saturday. It was a sight for many to enjoy and an inspiration for others to aspire toward. 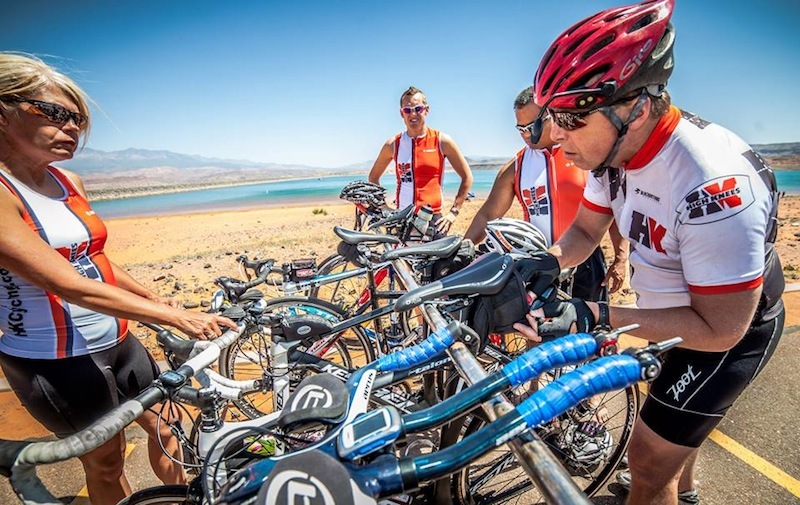 While the next Ironman 70.3 St. George is now a year away, Southern Utah offers any number of other opportunities throughout the year from all manner of road and mountain biking events to triathlons. There is no time like the present to gear up, suit up, tune up and join in. William Shake, of High Knees Cycling, said he enjoys encouraging cyclists and triathletes in their training, and he especially enjoys working with the beginning biker to get them involved in the sport. For the triathlete, High Knees Cycling is a triathlon-specific shop with skilled mechanics on hand to repair all kinds of bikes. It is stocked year-round for triathlon training and cycling events. It offers parts and products for bike and athlete alike. Whatever the event, being prepared takes a lot of training. Shake recommends triathletes join an adult master swimming program such as one like High Knees mechanic, Matt Magen, teaches on Tuesdays and Thursdays at 6. a.m. at the Washington Recreation Center. The Southern Utah Tri Club is another group worth joining, offering a good atmosphere for members to swim, bike and run together. They meet every Wednesday at 6 p.m. at Sand Hollow State Park in Hurricane. “Tiffany Gust is our in-house coach here at High Knees Cycling. She coaches all of us here,” Shake said. Gust is a triathlon coach certified through the USA Triathlon Certification Program. Gust also works at High Knees and is available to help people get into good nutritional shape for a triathlon. Training for a triathlon may look daunting – rather than learning one sport, you are learning three. But by taking it in bite-sized pieces and rotating your training schedule, Shake said, it is doable. One way to start competing in a triathlon is to begin with a sprint-distance competition. Some triathletes stop there and don’t move up to the longer races. That entry-level distance is obtainable for almost anyone, Shake said, regardless of what kind of gear they have or what kind of bike they ride. Triathlon competitors motivate one another. They are competing against themselves, not each other, Shake said. The employees at High Knees Cycling compete themselves, and enjoy seeing their customers, beginning, novice and professional alike all out there on the track with them. Brent Barney has competed in 15-20 triathlons and he’s run 40 marathons, 20 of those marathons in St. George. Barney took up the triathlon because he loves running, but needed a sport that was easier on his knees. Barney appreciates having a bike shop like High Knees Cycling in St. George, he said, because the staff are not only knowledgeable and helpful, but they train, ride and race right along with their customers. The staff at High Knees Cycling is ready to help you get ready for the next Ironman 70.3. Hours: Monday-Saturday 10 a.m.-6 p.m.